PARIS -- Valeo profit fell 24 percent in the second half of 2017 as the supplier faced adverse exchange rates and raw material prices, invested more in future vehicle technologies and took a one-off charge related to U.S. tax cuts. Valeo has positioned itself to benefit from a widespread regulatory emissions crackdown, thanks to its push into electrification and other fuel-saving vehicle technologies. It has also become a major supplier of autonomous driving systems. Net income dropped to 380 million euros ($468 million) in July-December, the company said, on an 8 percent increase in group revenue to 9.09 billion. The results reflected "a more complex economic environment," including a stronger euro and volatile raw material costs, CEO Jacques Aschenbroich said in a statement. Second-half operating income rose 5 percent to 723 million euros, for an 8 percent operating margin - down from 8.2 percent a year earlier. 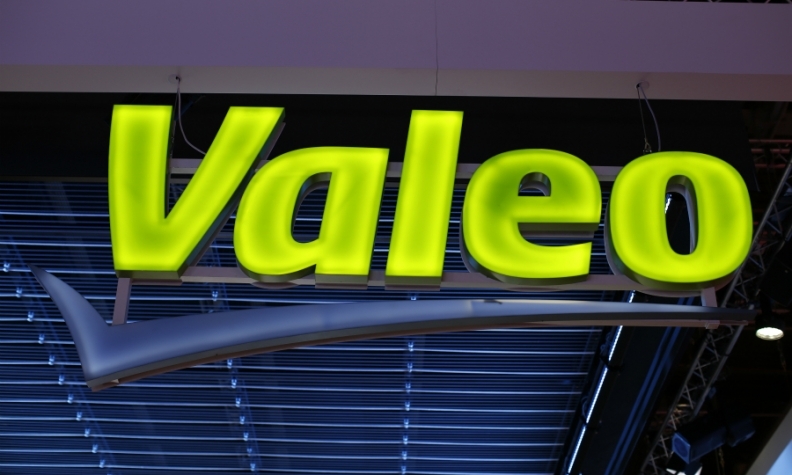 Tax cuts reduced the value of Valeo's deferred tax assets, wiping 117 million euros from its bottom line. Research and development spending rose 16 percent to 548 million euros as Valeo expanded its electric and autonomous vehicle technology program. But Aschenbroich stressed the r&d outlay was stable as a share of rising order intake. The company said it was targeting 8 percent revenue growth this year, with an operating margin close to its 2017 level of 7.8 percent before equity contributions. It proposed an unchanged 1.25-euro dividend on 2017 earnings. Valeo Siemens eAutomotive, a joint venture created in 2016 to develop competitive electric and hybrid vehicle systems, booked 6.1 billion euros in orders last year and 10 billion euros to date - of which more than half in China. The venture's sales are expected to exceed 2 billion euros by 2022, Valeo said on Wednesday.